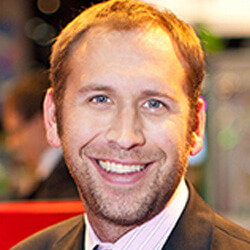 Adam Sandy has been a part of Ride Entertainment since 2004. 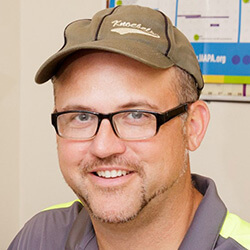 He oversees all of the company’s sales and revenue share initiatives, and contracts for their ride installation and retrofit team. In addition, he runs the marketing and social media programs for the company as a whole. Sanderson, Secretary of the NRCMA board, is also Chief Financial Officer and partner of Herschman Architects Inc. in Cleveland, Ohio. 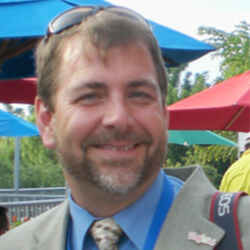 Sanderson is a confirmed thrill seeker and theme park expert having served earlier as president of American Coaster Enthusiasts from 2002 to 2006. 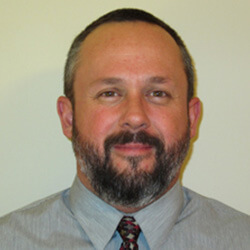 Gray is a U.S. Navy veteran who has worked in the industry for nearly 20 years. In 1998, Gray founded CMG Models, a photo-realistic attraction model fabrication company for the amusement and architecture industry. He also served as the Procurement and Assembly Director for Great Coasters International. As co-founder of Skyline Attractions, he now develops experiential rides and games for the amusement industry. 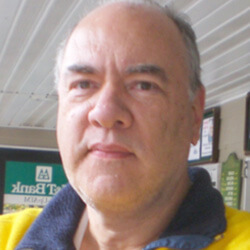 Slade, is the founder and Publisher of Amusement Today, the leading trade publication for the amusement industry, located in Arlington, Texas. Slade has documented the amusement industry for more than 30 years with an archive spanning more than 30,000 images. 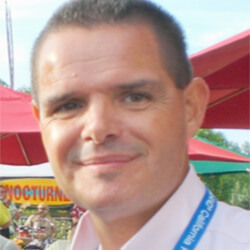 Slade also does editorial and marketing for AIMS International, a non-profit association whose goal is to promote safety in the amusement industry. 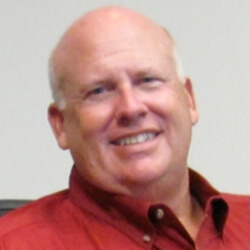 Novotny, Chairman of the NRCMA board, is the owner of Larson International in Plainview, Texas, the manufacturer of the classic Flying Scooter, Super Shot and Fire Ball rides. He is the former president of AIMS International. 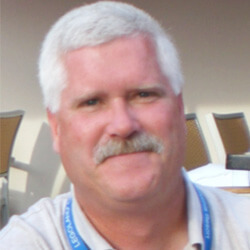 Willard is president of American Coaster Enthusiasts and a 20-year veteran of the organization having served in various capacities. After 20 years in public transportation and rail management, Willard transitioned to the world of higher education, administering system-wide budgets and tuition revenues for the California State University system’s 23 campuses. Residing in Long Beach, California, Willard brings enthusiasm and a passion for preserving the history of roller coasters. 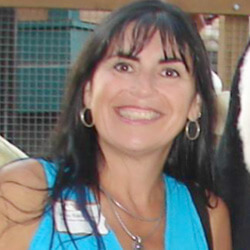 Owens is the Director of Marketing Communications for the Dollywood Companies based in Pigeon Forge, Tennessee. Owens background is in television news in which he worked for nearly 15 years. He is also a guest lecturer on crisis communications and media relations for the AIMS, TIA and NAARSO. As an 18 year veteran of the Amusement industry, participating and chairing multiple IAAPA committees, Owens is driven by his enthusiasm regarding the history of the industry and its impact on the American family drives his participation in the NRCMA. Munch is a distinguished theme park and roller coaster historian and published author. His book, Roller Coaster Fever, and his profile of ride designer Harry Traver are considered notable references on the subject. Munch is also a founder of the American Coaster Enthusiasts and served as its first president from 1978 to 1982. His career has taken him to Cleveland, Ohio, where he works for Herschman Architects on various commercial projects. Sheehan is an attorney and life-long advocate for theme parks and amusement manufacturers. Tom brings more than a quarter century of experience as a litigator defending the amusements and motor sports industries as a founding member of the Sheehan Firm. He served as Executive Director and General Council for the Amusement Industry Manufacturers and Suppliers International trade organization (AIMS). He is a founding member of the International Amusement and Leisure Defense Association. 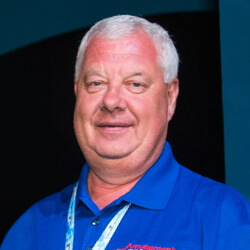 He sits on the International Amusement Parks and Attractions Safety Committee (IAAPA), and routinely serves as an instructor for IAAPA, the National Association of Amusement Ride Safety Officials (NAARSO). Bowser is the Vice President of the Industry Division for Bynam Painting. His long history in the industry, including 21 years of experience in the Six Flags organization, and his passion for the preservation of theme and amusement park artifacts makes him an invaluable asset to the NRCMA.